Why Pay More? No Contract - No Joining Fee - Free Prize Draw! JOIN BACK AND GET 50% OFF YOUR FIRST MONTH! Access to our brand new Llandarcy Gym (View details) with the latest state of the art Technogym equipment, lighting, audio and visual. Plus access to our 60m multi-purpose Indoor Running Track. Make a difference today to your health and wellbeing. 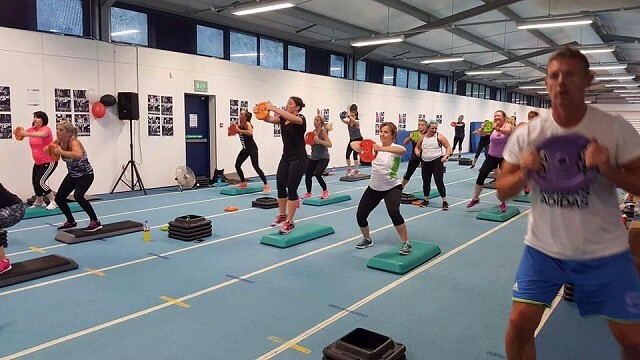 *£17 membership based on corporate rate for Gym or class only with more than 10 members. Cannot be used in conjunction with any other offers.T&C's apply. Gym/Classes membership from only £17 per month includes no contract!